When it comes to potential corporate liability, nothing is quite as risky as selling your company while ignoring tax issues. It is crucial that business sellers never agree on any aspect of a sales agreement until they are advised by an attorney that works in corporate liability and business transactions who can advise them on various tax questions and issues. How your business is classified (i.e. is it a C corporation, limited liability corporation, partnership, S corporation, or sole proprietorship) will determine how much flexibility you have in negotiating the sale of your business and whether issues involving “double taxation” arise at the corporate and shareholder levels. For example, flexibility is limited if you conduct your business through a C corporation. While most sales of businesses are confused as taxable transactions, it may be possible to complete the transaction on a “tax-free/deferred” basis if you exchange C or S corporation stock for the corporate stock of a buyer (assuming that all other tax-free provisions of the Internal Revenue Code have been met). Are You Selling An Asset Or Stock? One of the initial determinations you will need to make is whether you are selling an asset or stock. This is because buyers tend to favor purchasing assets because these sales result in future tax deductions and fewer unknown seller liabilities. Conversely, sellers tend to favor selling stock, as that allows for long-term capital gain tax treatment on the sale. Regardless, it is important to note that one type of sale (stock) may be required over another (asset) when it comes to C or S corporations in some circumstances, as an asset sale is subject to a double-tax at the corporate and shareholder levels, and sellers are often required to provide extensive representations and warranties to buyers and indemnify a buyer for liabilities that are not expressly assumed. It is also important that a seller and buyer reach agreement as to the allocations of the total purchase price to the specific assets acquired early on. 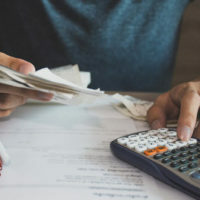 Determining purchase price allocation is affected by whether you operate your business on an accrual or cash basis, as well as how your assets are separated into separate categories, such as accounts receivable, cash, equipment, inventory, intellectual property, intangibles, real property, etc. If buyer and seller cannot agree on a purchase price, they always have the “earn-out” sales structures or contingent payment arrangements available as options, where the buyer pays the seller an upfront amount and then additional earns-out or contingent payments in the future when certain conditions are met. State sales and use taxes must also be considered in any transaction. While stock transactions are not typically subject to sales, use, or transfer taxes, some states do impose a stamp tax on the transfer of any stock. With asset sales, careful analysis to determine whether sales or use taxes might apply must first be conducted. If your goal in selling your business is to provide for future generations, this absolutely needs to be taken into account before the sale is finalized. Selling your company and then trying to move after-tax proceeds from the sale to family members can become complicated. If you are preparing to sell your business, ensure that you work with experienced corporate counsel. Contact the Texas corporate liability attorneys of Colvin, Saenz, Rodriguez & Kennamer, L.L.P. today to find out how we can be of help.